​The following stories are prequels to the Hunters of Reloria series. Every great series has a beginning. Teenage Asher discovers that he has fallen in love with his best friend's girl. 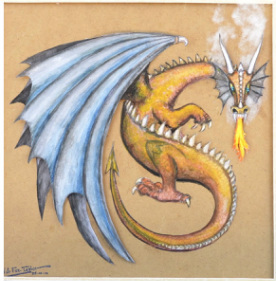 Can the dragons survive the tempest of emotions that ensue? Rated PG13: Parental guidance recommended for young readers due to sensual and violent content. Sienna is a popular character from the Hunters of Reloria series. 11 year old halfling Sienna and her bond-fairy are left alone in the Wild Woods for the first time when her father travels to Greendale. Cheeky fairy, Fandri-La wants to find some honey, causing them to leave the safety of their cabin and wander through the woods. They find themselves in an adventure when Fandri-La is kidnapped by evil ravens. Halflings Fandri and Emina sneak up to the barn rafters for their first kiss, but with an energetic goat and pitch-fork wielding farmer on their tail, things don't quite go to plan. 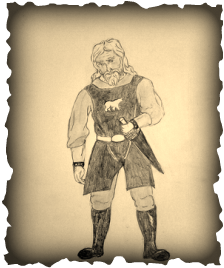 Fandri and his fairy are popular characters in the Hunters of Reloria series. Check out this youthful adventure which will lead to bigger things in the upcoming 'Fandri's Adventures' novel.